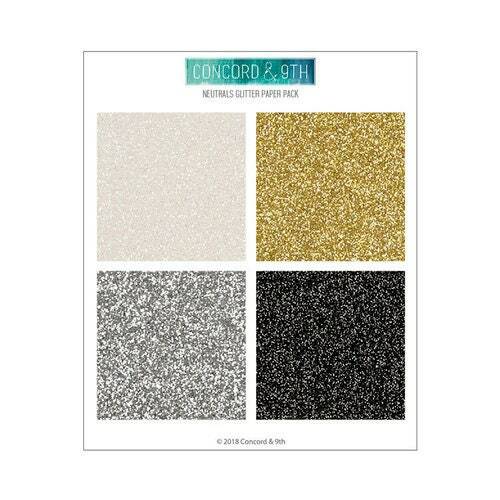 Enhance your paper crafts with a bit of sparkle and shine with the Neutral Glitter 6" x 6" Paper Pad by Concord and 9th. The package includes 12 glitter sheets of paper, three each of four colors including pearl, gold, silver and graphite. The glitter won't flake due to a special coating.